For much of the history of advertising, it has been very difficult to identify exactly how successful a campaign actually was. A hit ad might coincide with increased sales, but it was up to the agency to demonstrate a connection between the two. Unless customers had to present the physical ad (often as a coupon) to receive the discount, the business could really only guess at the percentage of sales conversions that began with exposure to their ad. Advertising sales managers for magazines can tell you their circulation rates based on subscriptions and a general idea of their reader demographics, but they can’t guarantee that a reader will read it – or even see it. Radio ad sales are in a similar situation. They can tell you their approximate audience count based on surveys, but they can’t guarantee that listeners stuck in traffic won’t change the station as soon as your ad starts. Social media has changed all of that. No more fuzzy audience estimates and no more uncertainty about audience engagement. Social media – on account of its vast audiences and associated data sets – presents businesses with a truly unprecedented level of customer reach and customer analysis. Obviously a large, attentive audience is appealing (think Super Bowl), but the ability to target specific demographics and then measure the results of a campaign down to the individual click is an incredibly powerful tool – and it’s getting more powerful all of the time. But social media advertising can also be overwhelming in inexperienced hands. On top of that – just like with search engine optimization – the landscape is constantly changing. What’s true today might not be true tomorrow. In the quest for optimal optimization, the internet is constantly improving itself, and failure to keep pace can cost valuable time and money – and in the case of SEO, outdated methods can even result in penalties. For business owners who are seeking to grow their business while they are already working at full capacity, managing social media ad campaigns (like blogging) can get pushed to the side. As powerful as social media advertising can be, it can be equally wasteful if it’s not being managed by a capable expert. A-B Tests – or Split Tests as they’re known on Facebook – allow businesses to perpetually optimize their advertising over time to make sure that it is always putting the right content in front of the right customers – at the right price. If direct access to your customers eyeballs on the one place where they’re always looking – their smartphones – isn’t reason enough to make a serious commitment to your social media presence, keep in mind that Google rewards sites that are connected to active social media presences with higher search rankings. 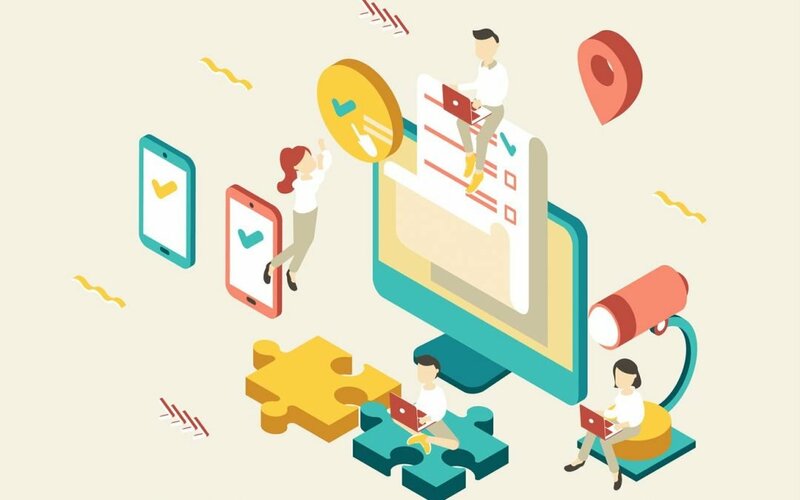 Here is a quick overview of what business owners need to know about Split-Testing on social media to make sure that they get the most out of their advertising campaigns. As with website optimization, social media optimization requires a clearly understood audience and a clearly defined objective. For many, this will be their first foray into the world of paid advertising online, which can be met with a lot of internal resistance. After all, isn’t “organic” reach always better than “paid” reach? At LaunchUX, if we had to choose one strategy and one strategy only, we would probably choose organic. But we don’t have to choose. Both organic and paid tactics offer unique advantages, and they can be very effective when used in combination. Because campaigns that rely primarily on organic reach take the long view, they are ideal not only for growing your reach on a specific social media platform, but they are also a healthy foundation on which to build your brand identity. People tend to be naturally suspicious of paid advertising, and in the world of online advertising you can’t really blame them. From click-bait to flashing banner ads to phishing schemes, the internet has brought out the best and the worst of marketing. Organic strategies exist outside of these methods and foster a more sincere customer-business relationship. The downside of organic growth – if it can be called a “downside” – is that the development is gradual. In some cases, it can take weeks or even a few months to see noticeable growth, and even then, it is most apparent when compared side-by-side with the original metrics. Of course, this can only be considered a “downside” if you consider prolonged, regular growth to be a negative thing. Organic campaigns pay off in the long run, but they also require a lot of the business owner’s time from week-to-week. As with websites, the winning strategy for social media will always be regularly updated content whether it is accessed on a computer, smartphone or tablet. However, we understand that in the world of business, speed is often a driving factor for social media campaigns. Sometimes your customers need to know that a one-time-only event or a limited-time offer is happening in their vicinity, and the immediacy of a notification on their phones is the only way to get their attention. If you are just starting out, and you need a lot of followers fast, paid reach is for you. Likewise if you are in a situation where you need instant gratification – a new product launch or a clearance sale. The obvious downside here is that it costs money. However, with Facebook Ads Manager, companies have the power to make sure that their ads are going to the right people – whether that means offering their current followers a great deal or a “like” campaign to gain more followers. The good news is that because of this level of control, advertisers on Facebook can verify that they are getting what they paid for. Plus, Facebook will never spend more than you into it, which gives you one more layer of control. Even with all of this data and the ability to parse through specific demographics, the newfound followers and the bump in sales might only be temporary. Without an organic strategy to fall back on, your social media growth will be fast but erratic and your new “friends” might not be with you for the long haul. An oversimplified analogy is the fable of the tortoise and the hare with the tortoise representing a steady pace and the hare representing a short burst of energy that sputters out. The real winner, of course, would be someone who can maintain the speed of the hare with the endurance of the tortoise. Accordingly, an organic campaign that is supported by strategically released paid ads can be a very potent combination. A common mistake we encounter is businesses that set up social media accounts and immediately begin paid campaigns without establishing an organic presence. To visitors who respond favorably to your ad and click through, a social media page full of ads will appear spammy – and even scammy – and customers (for reasons mentioned above) will be less likely to hand over their credit card information or even want your page to show up in their feed. Even in the category of paid reach, there are short-cuts that will be tempting to businesses who are looking to grow an audience quickly, but just as paid reach is no replacement for organic reach, the so-called “Boost” option is no replacement for paid reach achieved through Ads Manager. You will want to be in Ads Manager every single time you run an ad. Avoid the “Boost” section because its “convenience” comes at a cost: it reaches fewer people at a greater expense. The only time you should press the “Boost” button is if you’re in a really big hurry, and you’re trying to reach fewer people and okay with spending more money for the efficiency. To even a novice business owner, the problems should be apparent. To be clear, what follows will not be an encyclopedic evaluation of all of the demographics and customization options available to you in social media advertising. The list of possible categories is immense, and the various combinations are essentially limitless. For now, we will talk about the three key elements of your campaign: Awareness, Consideration and Conversion. These are currently the three key categories under the “Campaign” section of Facebook Ads. Other sites might use different categories, and Facebook is always changing, so these categories might be called something else down the road. However, understanding these three concepts will go a long way towards understanding your business’s objectives – and without clearly defined objectives, there will be no way to measure your success. Conceptually speaking, there will be some overlap between these categories (awareness will often lead to conversion), but at the moment, these categories also correspond with specific billing plans for Facebook Ads. An awareness campaign is exactly what it sounds like – a push to get your ad in front of as many eyeballs as possible so people are aware of your product or service. A conversion campaign seeks a particular form of engagement whether it is clicking through to your site, watching your video or downloading your app. A conversion campaign will seek actual sales from either a catalog or your online website. Once you understand your audience and how your ads will be distributed and paid for, you can begin to run your Split-Tests to see if your campaign is successful at achieving your goals. When we were discussing A-B Tests for websites, we were generally talking about testing two design variations against each other consecutively. With social media is that the tests are conducted simultaneously. The hard truth is that until you release your ad to the world, you don’t know if it will work or not. Split-Testing is not only a way to define your success, but also a system that allows you to constantly improve your ads (and your ad spending) by testing them against each other. Create a variation of this ad (B). Measure the results and compare them against your goals. The winning ad advances to compete against a new variation of the ad in a new round of Split-Testing. In this way, Split-Testing will create a cycle of constant improvement. You keep the ads that work. You stop wasting money on the ones that don’t. Based on your objectives and customers, what are you going to change? The creative content? The audience? The placement? The delivery optimization (link clinks, landing page views)? For example, a jewelry store owner could create one ad that encourages customers to buy a trendy new piece for themselves, and they could test it against an ad encouraging people to buy that piece as a gift for someone else. The winning ad will tell you a lot about your target customers and the advertising that they respond to. Additionally, Facebook’s enormous bank of user demographic data allows business owner’s who aren’t sure of their target audience to flip the process and see who is responding to their ads – essentially Split-Testing the audience itself. In this model, a single ad would be published, and the audience demographics would be recorded eventually leading to a clearer understanding of who your ads should be targeting. Using the jewelry store example from above, the first ad would be run (buy this piece of jewelry for yourself), and information ranging from income level to education to whether women are buying it for themselves or men are buying it as gifts. A company like LaunchUX can look at the data from your social media and your website to create a complete picture of your digital sales funnel. If the objective of your campaign is to increase e-mail sign-ups, our social media expert can discuss the Split-Test results with our web developer to identify who signed up once they reached the sign-up page. Knowing how many people signed up is nice, but knowing the demographic make-up of those who didn’t sign up can actually be more powerful in terms of crafting your message. Further Split-Testing will then help you optimize your ad campaign to better target that audience. Every ad is a gamble until it has been tested. Every industry is different and every ad – no matter who you are or who you are targeting – is going to be an unknown as to how it will perform until you run the test. Going back to the retail example from Part One, the CEOs and managers could only guess at what their customers were doing in their stores – and they were usually wrong. It’s okay – and expected – that the results will vary from your hypothesis. What’s not okay is wasting your time and money by running ineffective ads on social media. Test one variable at a time. Making more than one change at a time might seem like a way to speed up the testing process, but if you make you ten changes and the ad is successful, you won’t know which of the ten changes is responsible for the success. Whenever possible, incorporate motion into your ad. Facebook – and other social media platforms – put a lot of information in front of users, so it’s important that whenever users are quickly scrolling through their feeds, your ad has something that instantly gets their attention. Video and other moving images such as .gifs are an effective way to achieve this. With text on social media, less really is more. The realization that you might have less than a second to make your case before the potential customer scrolls on causes some businesses to layer way too much text onto their graphic. Remember that you don’t have to make the entire case for your business here. For Consideration or Conversion campaigns, the goal is to get the user’s attention and intrigue them enough to click through to more information. Invest enough money to make the Split-Test worthwhile. It’s understandable that you wouldn’t want to go all-in on an unproven ad, but tests work better with a larger audience. “Big” and “small” will vary widely by company and industry, but with Facebook ads, you get out of it what you put into it. Plus, the investment will be split between the two ads (you can control the actual breakdown, whether it’s a 50/50 split, an 80/20 split, etc.). Save time and money by consulting with a social media professional. If you are interested in running ads on Facebook, consider consulting with a social media expert because we can give you pointers that could save you a lot of time over experimenting with trial and error. Starting the Split-Testing process on the foundation of our knowledge puts you several Split-Tests ahead of the competition from day one. At LaunchUX, we’ve managed a lot of ad campaigns on a lot of platforms, we have a good idea of what works and what doesn’t. We can help you avoid the pitfalls and put you on the path to overall optimization. This is all about efficiently spending your money. Contact us today to discuss how social media can strengthen your relationship with your customers and maximize your social media advertising budget.